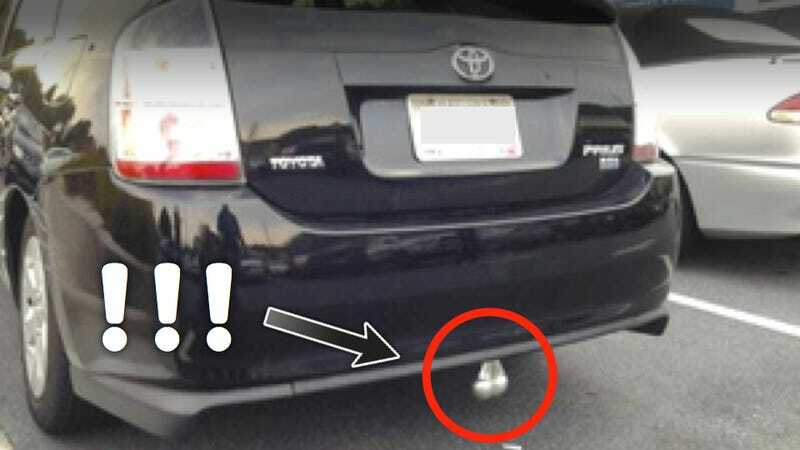 Truck nutz are one of the most asinine things to be found anywhere, and there are many people who would argue that the Toyota Prius is equally worthless (although some would resolutely disagree). So if you put truck nutz on a Prius, do they cancel out each other's lameness? A Jalopnik reader found this Prius' nutz dangling perilously low as he walked through a parking lot on his way to see Dark Knight Rises. The chromed truck nutz did nothing for the car's testosterone rating, but they are funny.